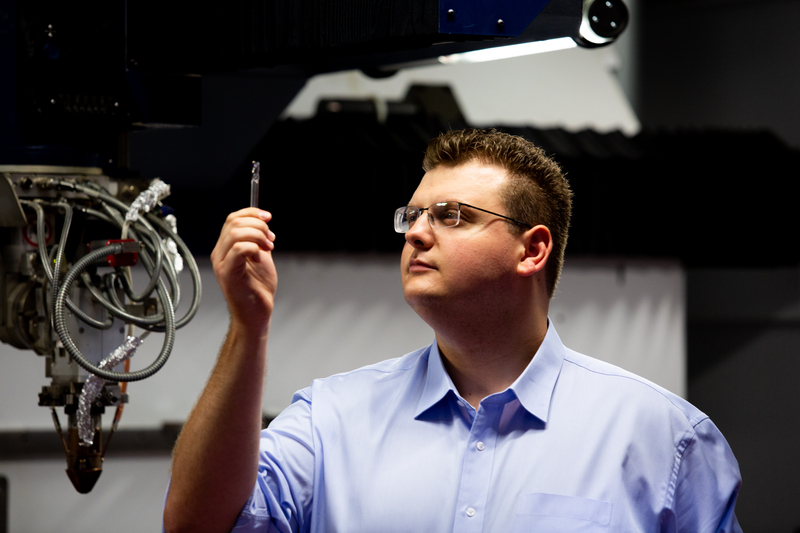 Research conducted by PhD candidate, Jimmy Toton, at RMIT University in Melbourne, together with the Defence Materials Technology Centre (DMTC) and Sutton Tools, has scored him the 2019 Young Defence Innovator Award. High quality tools used to cut metals in the defence and aerospace industries are expensive, but Toton's 3D printed steel tools can cut titanium alloys as well as, and sometimes better than, conventional steel tools. RMIT said the research team’s high performance steel milling cutters were made using laser metal deposition technology, which works by feeding metal powder into a laser beam. As the laser moves and the metal solidifies at the trailing edge, a 3D object is built up, layer by layer. This additive manufacturing process also allows for objects to be built with complex internal and external structures. According to Toton, the process could improve productivity and tool life while reducing cost. DMTC CEO, Dr Mark Hodge, said the importance of productivity and cost-efficiency to Australian manufacturers should not be underestimated. “The costs of drills, milling cutters and other tooling over the life of major defence equipment contracts can run into the tens, if not hundreds, of millions of dollars," Dr Hodge said. "This project opens the way to making these high performing tools cheaper and faster, here in Australia." Dr Hodge went on to say that supply chain innovations and advances like improved tooling capability all add up to meeting performance benchmarks that position Australian companies to win contracts not only locally, but globally. Toton developed his research while working as an engineering intern with Sutton Tools. He is now aiming to establish a print-to-order capability for Australian advanced manufacturing supply chains.